Dike has made just two appearances for Nigeria against Venezuela and Catalonia in November last year and January respectively. 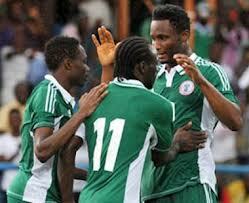 The 25-year-old striker got Nigeria's goal in the 1-1 draw against Catalonia in a friendly game on January 2. Six players from Nigeria Premier League (NPL) made the final squad to the Africa Cup of Nations. Chigozie Agbim, Azubuike Egwuekwe, Godfrey Oboabona, Reuben Gabriel, Ejike Uzoenyi and Sunday Mba.